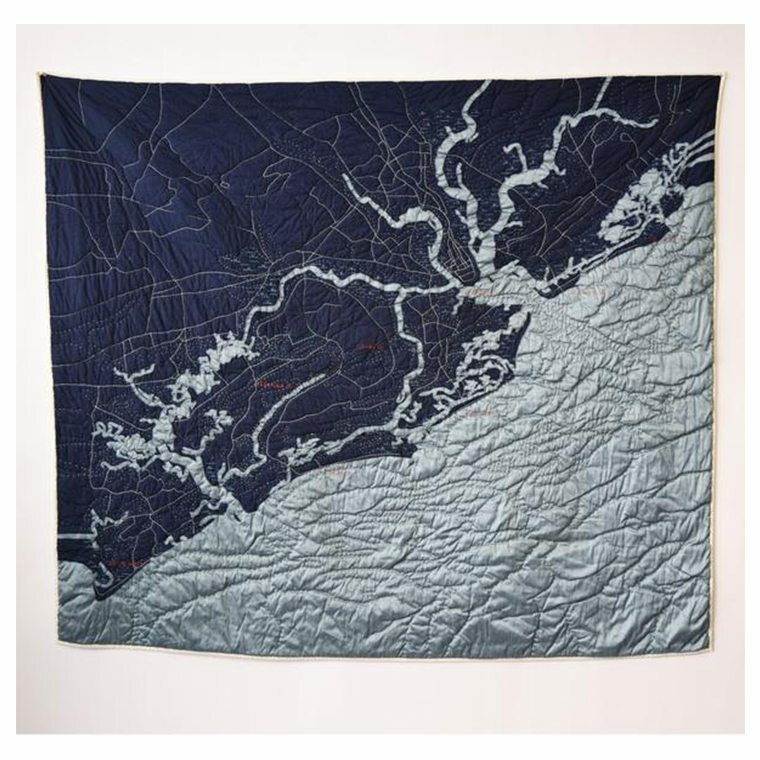 Home > Shop > Bedding > Charleston Quilt - Available in Two Colors! 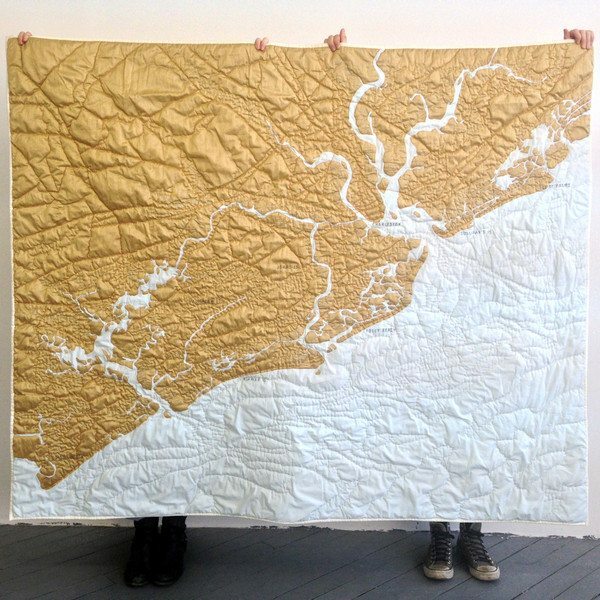 Charleston Quilt – Available in Two Colors! Located at the confluence of the Cooper and Ashley Rivers, Charleston is a true Southern original. 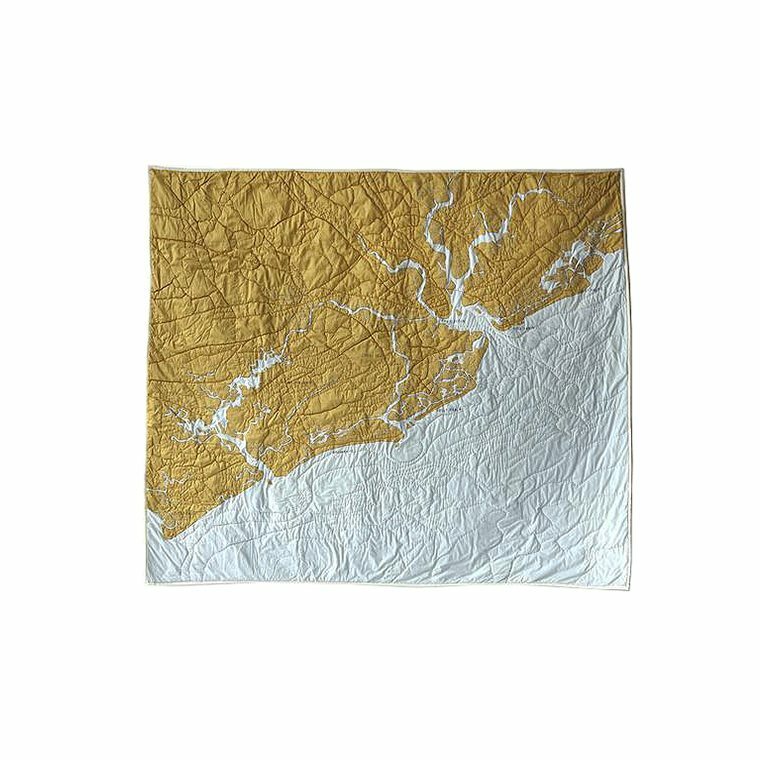 Commemorate lazy summer days under the shade of magnolia trees with our Charleston quilt, the perfect wedding or anniversary gift. 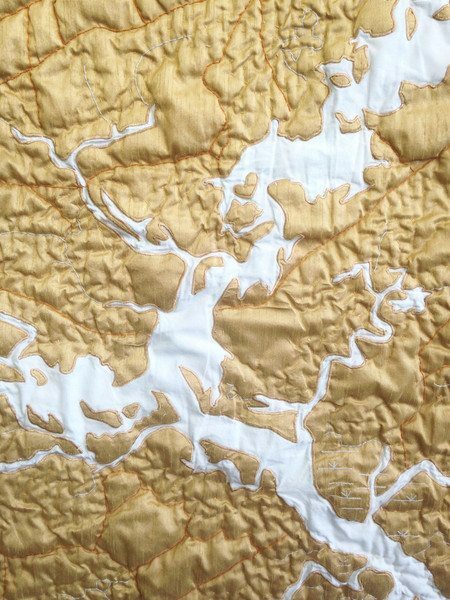 The meandering waterways of Lowcountry are depicted in gold polysilk, appliqued to a soft pale blue cotton. 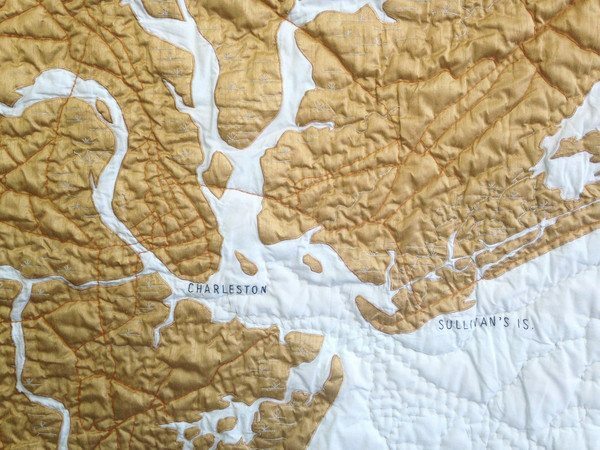 The Charleston quilt coastal area extends from Edisto Beach past Sullivan’s Island up to Bull’s Island, and includes Wadmalaw Island. 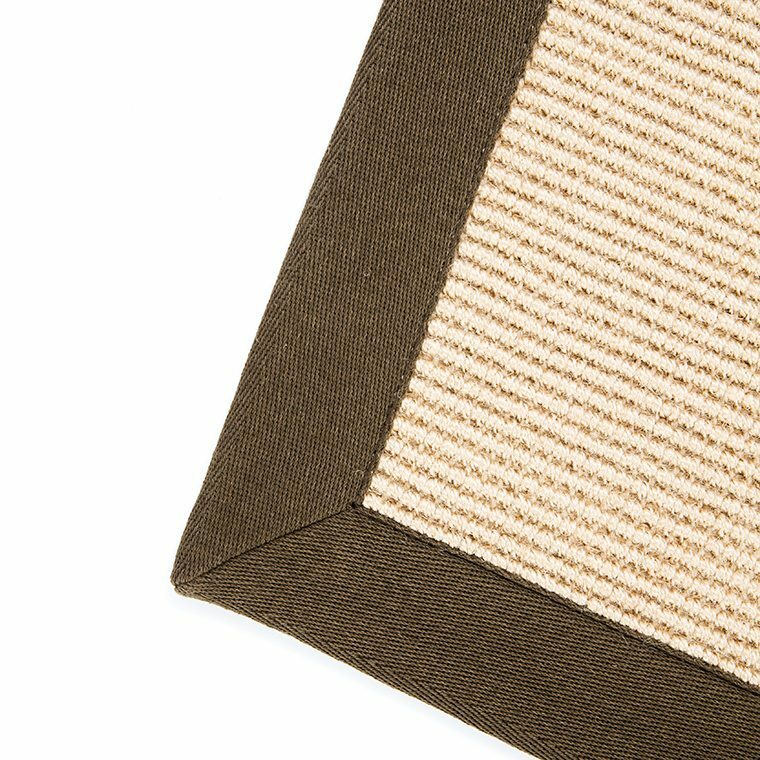 2.5×9 Jute Runner – Available in Multiple Colors!